JSSC Result 2019: Below are the latest results published by JSSC - JSSC - Jharkhand Staff Selection Commission / www.jssc.in. The recent result announced by the organization is CGTTCE 2016 Final Result 2019 - Giridih District. JSSC CGTTCE 2016 Final Result 2019 - Giridih District: JSSC - Jharkhand Staff Selection Commission has announced the Result on 18 Apr 2019 for JSSC CGTTCE 2016 Final Exam 2019 - Giridih District . JSSC CGTTCE 2016 Final Result 2019 - Chatra District: JSSC - Jharkhand Staff Selection Commission has announced the Result on 18 Apr 2019 for the exam . JSSC CGTTCE 2016 Final Result 2019 - Hazaribagh District: JSSC - Jharkhand Staff Selection Commission has announced the Result on 18 Apr 2019 for the exam . JSSC CGTTCE 2016 Final Result 2019: JSSC - Jharkhand Staff Selection Commission has announced the Result on 17 Apr 2019 for JSSC CGTTCE 2016 Exam . 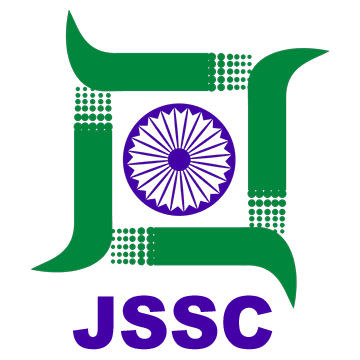 JSSC JHPCCE 2018 Result: JSSC - Jharkhand Staff Selection Commission has announced the Result on 16 Apr 2019 for JSSC JHPCCE 2018 Exam . JSSC CGTTCE-2016 Additional Result 2019 (Dhanbad, Giridih, Ramgarh & Koderma): JSSC - Jharkhand Staff Selection Commission has announced the Result on 02 Apr 2019 for JSSC CGTTCE-2016 Additional Exam 2019 . JSSC CGTTCE 2016 Final Result 2019 - Garhwa District: JSSC - Jharkhand Staff Selection Commission has announced the Result on 01 Mar 2019 for the exam . JSSC CGTTCE-2016 Final Result 2019 - Ranchi District: JSSC - Jharkhand Staff Selection Commission has announced the Result on 26 Feb 2019 for CGTTCE Exam 2016 . JSSC LDC, Stenographer Result 2019: JSSC - Jharkhand Staff Selection Commission has announced the Result on 23 Feb 2019 for the exam . JSSC CGTTCE 2016 Result 2019 - Gumla District: JSSC - Jharkhand Staff Selection Commission has announced the Result on 15 Feb 2019 for the exam . JSSC IRBGCCE 2017 Result 2019: JSSC - Jharkhand Staff Selection Commission has announced the Result on 14 Feb 2019 for the exam . JSSC CGTTCE 2016 Result - Khunti District: JSSC - Jharkhand Staff Selection Commission has announced the Result on 11 Feb 2019 for the exam . JSSC CGTTCE-2016 Final Result 2019 - Lohardaga District: JSSC - Jharkhand Staff Selection Commission has announced the Result on 01 Feb 2019 for JSSC CGTTCE-2016 Exam 2019 - Lohardaga District . JSSC CGTTCE-2016 Final Result 2019 - Simdega District: JSSC - Jharkhand Staff Selection Commission has announced the Result on 01 Feb 2019 for the exam . JSSC CGTTCE-2016 Result 2019 (Garhwa District): JSSC - Jharkhand Staff Selection Commission has announced the Result on 21 Jan 2019 for the exam. JSSC CGTTCE-2016 Final Result 2019 (Latehar District): JSSC - Jharkhand Staff Selection Commission has announced the Result on 10 Jan 2019 for the exam . JSSC CGTTCE-2016 Final Result 2019 (Palamu District): JSSC - Jharkhand Staff Selection Commission has announced the Result on 10 Jan 2019 for the exam . JSSC CGTTCE-2016 Final Result: JSSC - Jharkhand Staff Selection Commission has announced the Result on 05 Dec 2018 for JSSC CGTTCE-2016 Final Exam . JSSC ISCCE-2017 (Revenue Clerk, Amin & Other Posts) Score Card: JSSC - Jharkhand Staff Selection Commission has announced the Result on 12 Nov 2018 for JSSC ISCCE-2017 (Revenue Clerk, Amin & Other Posts) Score Card Exam- 2017 . JSSC ISCCE 2017 Final Result: JSSC - Jharkhand Staff Selection Commission has announced the Result on 08 Nov 2018 for JSSC ISCCE 2017 Final Exam .